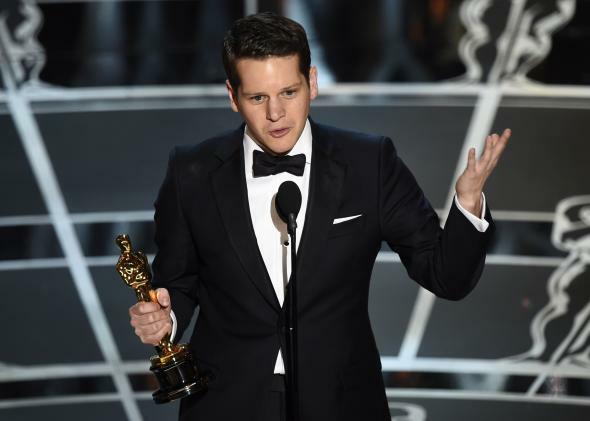 While most reviews have been positive, I have read an overwhelming amount of critical commentary regarding Graham Moore’s Oscar acceptance speech, most saying that while it’s wonderful that he survived a suicide attempt and is now thriving, the Oscars stage was not the right time or place to talk about it. Why? Because the whole world was listening? Kudos to you, Graham Moore. There’s never a wrong time or place to fight stigma, celebrate strength, and instill hope. I promise to stay weird. For you, for me, and for all the others out there who have seen the dark side. Watch the speech here, in case you missed it. As our class waited to enter the cafeteria, I showed a student a picture of my month-old nephew, face-planted on a blanket, doing absolutely nothing, as babies do.